Economical RVing can be something of a hobby for some, but for others its a lifestyle. Whether you are a devoted economists or a casual saver, you will want to make your RV camping and traveling more economical, eco-friendly and, most of all, enjoyable. Take the following steps to improve your RV lifestyle and experience. RV users tend to choose disposable cups, cutlery and tableware. Although this option makes cleaning up that much easier, disposables are known to do more harm than good to the environment and are much more expensive that reusable plates. In our quest to save this beautiful planet, we must take a few important measures and these include reducing, reusing, and recycling. While on the road, go for reusable items instead of disposables and consider using edible wrapping options wherever applicable. If you are trying to conserve water and must use disposable, you can opt for biodegradable items, most of which are not only economical but also easy to use for a variety of meals. The RV lifestyle usually means downsizing, which can be achieved in many different ways. One of these ways is using smaller-than-normal appliances and storage room. If you are not well-prepared for such changes, you may end up going over budget. Because of the smaller refrigerator, for instance, you will probably suffer losses if you stock up on foods that require refrigeration. 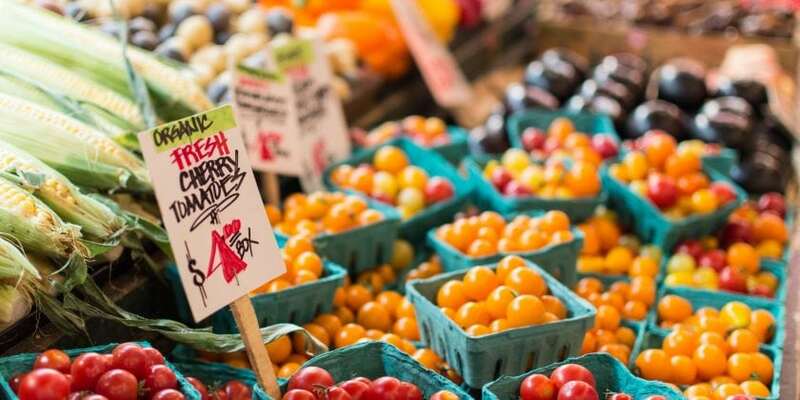 Instead, take advantage of the local farmer’s markets you come across for great deals on fresh produce and only buy what you will use before your next visit. Besides giving you a chance to enjoy organic foods and the benefits offered, buying locally produced foodstuff helps reduce the need for refrigeration and storage space. Those devoted to the RV lifestyle will often end up sitting around a campfire sometime during their travel or camping trips. Unfortunately, the comforting blaze of a fire is an expense to both your pocketbook and the environment. Fires are known to release harmful toxins into the air. While these toxins can have little effect on human and animal life, they can cause harm to the natural flora. You can help reduce such damage by lighting a fire only when it is absolutely necessary. Additionally, burning trash or recyclables can release a huge amount of harmful chemicals into the environment. So make sure you recycle your waste too. Operating a propane refrigerator if the RV is level can cause the cooling unit to fail which is quite a costly repair. 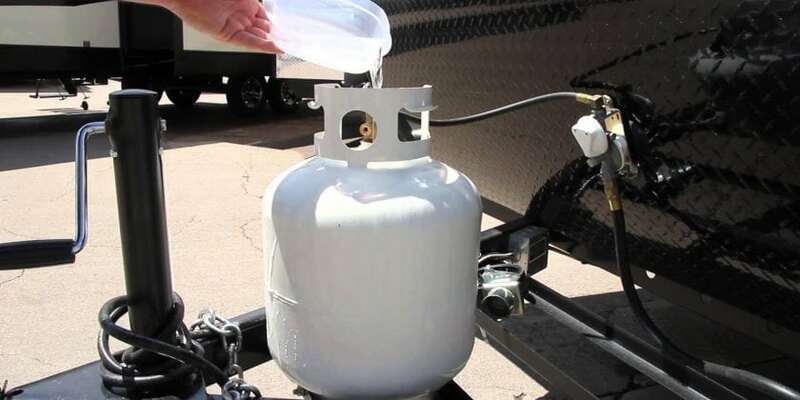 Always make sure that your RV is level before turning the refrigerator to propane by either using your leveling system or blocks. Many RVs are equipped with less-than-optimal water systems. As a result, RV lovers tend to stock up on bottled water. Even though these bottles cannot be recycled easily, you can reduce the amount of plastic waste with one simple swap. Apart from enhancing water conservation levels, replacing the filters and aerators can result in higher water pressure which is always a plus! 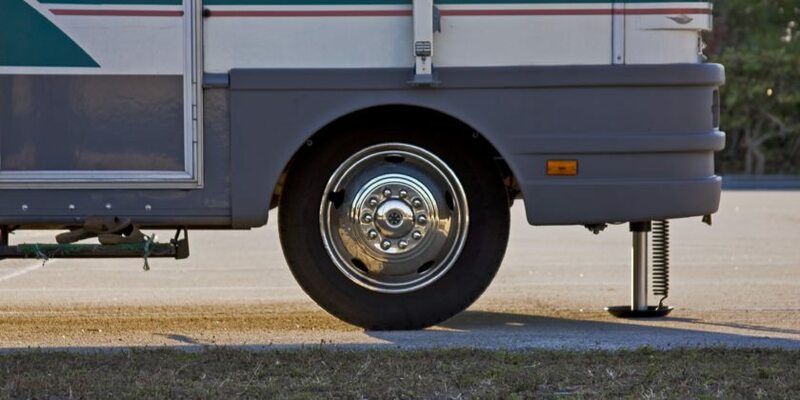 Most RVs come fitted with regular bulbs. However, LED bulbs can consume up to 50 times less power than regular bulbs and last much longer. Besides being environmentally friendly, LED bulbs can, therefore, save you a significant amount of money in the long run. LED bulbs come in a variety of options including easy-to-install, eco-friendly lighting strips that can be used to accentuate your indoor space. Camping with solar panels for converting energy from the sun to electricity. Solar panels are another energy efficient option. These are now available at relatively affordable rates. In fact, you can now order a fancy solar panel for less than two hundred dollars. 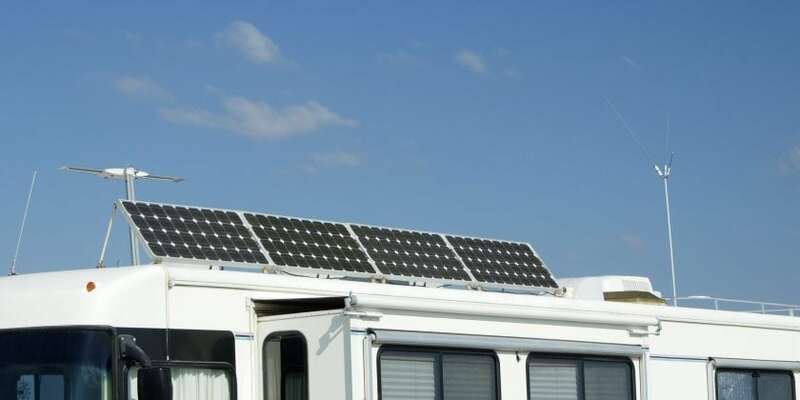 You can live off the grid for much longer and use less power than you ever did if you have one installed on your RV’s roof. Additionally, some solar panels are removable and can be stored inside overnight for added protection against the elements. For a long time, expensive and harmful chemical-based cleaning products remained the standard for cleaning RV tanks. Unfortunately, chemical additives can have a harmful effect on the environment as soon as they’re dumped out. You should, therefore, opt for an enzyme-based cleaning product. 1/2 cup of laundry detergent mixed with ¼ cup of water softener can be used instead to help keep your RV tank clean and smell-free. Besides being a lot more eco-friendly and budget-friendly, this mixture will also make the tank extra slippery, helping to keep things from sticking to the tank’s sides. Ensure that your fridge stays cold and you don’t lose your groceries by making sure that you don’t run out of propane. If you don’t have a gauge, you can determine how much propane you have left by checking the level of dew on your tank early in the morning. Early morning dew will sit at the same level as propane. Alternatively, pour a cup of hot water on the side of the tank and see where the condensation starts; this is your propane level. Economical RVing isn’t always about saving money, it is also about saving the resources that you already have and enjoy. Whether ensuring that your produce stays fresh and usable or the environment stays healthy, conservation is a lifestyle choice that benefits all.